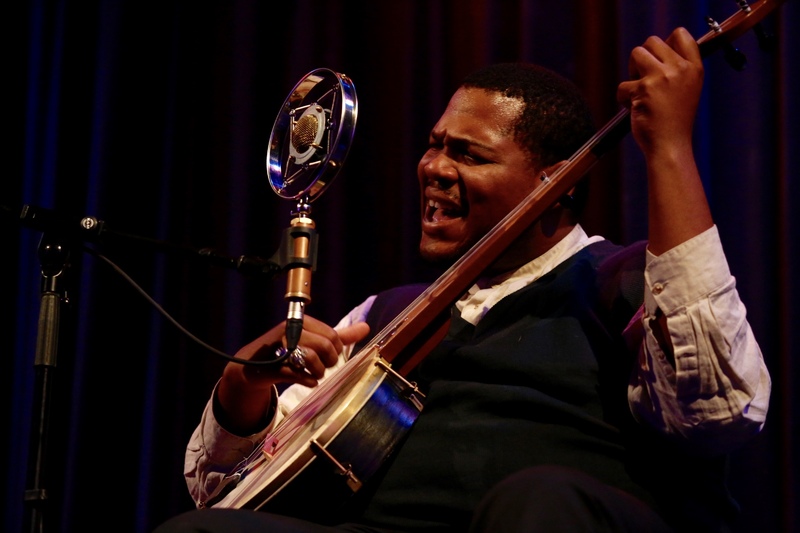 Blues act Blind Boy Paxton brought his one-man show to town once again and boy was he was in his element. Performing at a venue relatively new to the club-Gosforth Civic Theatre (and fast becoming a favourite) he snared the attention of one and all there. Though feeling a bit under the weather, BB Paxton, with the aid of a whiskey or three, freely distributed by his admirers, pulled out all the stops & chops.This man is a truly extraordinary talent, a colossus with a great deal in his closet. BB has so many strings to his bow. At times, his playing was jaw dropping and his humour and double entre songs of a kind that made one laugh out loud & freely. He put aside a world besought with complications, and idle political rhetoric to leave most of us dumfounded. Blind Boy eased through his songs backed in sequence by guitar, banjo, fiddle, harmonica, and last but not least his amazing piano. His genial touch was matched by a big ol’ smile set to melt everyone’s heart. A real showman, & dressed in his 1930s garb- by way of gratitude for the whiskey he recited poetry each time he knocked one back, and occasionally as he introduced one of his songs in a likewise manner. Paxton was a delight from start to finish, and with his unassuming on (and off) stage presence he is someone who will always be welcome back in these parts. As for highlights here was the kind of show where if you asked a group of people their favourites no two would be the same! But here’s a handful of mine, “Lost My Appetite For Chicken” as he sang about a guy called Samuel Green plus “Baby Blues” and huge favourite “Alabama Bound” and with time fast running out he gave a fun-packed version of “When An Ugly Woman Tells You No”. There was still a host of songs from his repertoire untouched, both singing and playing. For his encore he performed and sent everybody home with a smile near as big as his own with a beautiful piano instrumental version of Al Bowly 1930’s pop hit “The Very Thought Of You”. 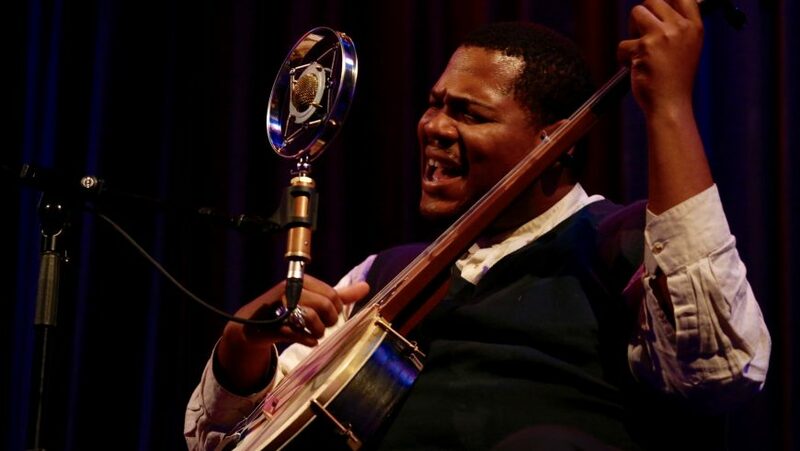 They don’t come any finer or more enthusiastic about their music than Jerron ‘Blind Boy’ Paxton, and to think he is still in his twenties and performing like a veteran. The texture to his playing and honey-toned vocals are a credit to his genre, and though born and raised in LA his music has the Deep South written all over it. The CD Wallum trio provided wonderful support, as the boys kept to the blues tradition; with fiddle, mandolin (Phil) and Martin Nutall (banjo and harmonica aiding CD Wallum’s acoustic guitar warmed vocals the stage was set for the star of the show. Wallum and the boys did justice to among others “Dallas Rag”, “Pal Of Mine” and “Ain’t Gonna be Treated This Way” as rich, authentic sounding blues were delivered via Yorkshire.